Hello, today I want to show you a card made from the beautiful collection Easter Greetings. Despite the name, this collection isn’t just for Easter projects. 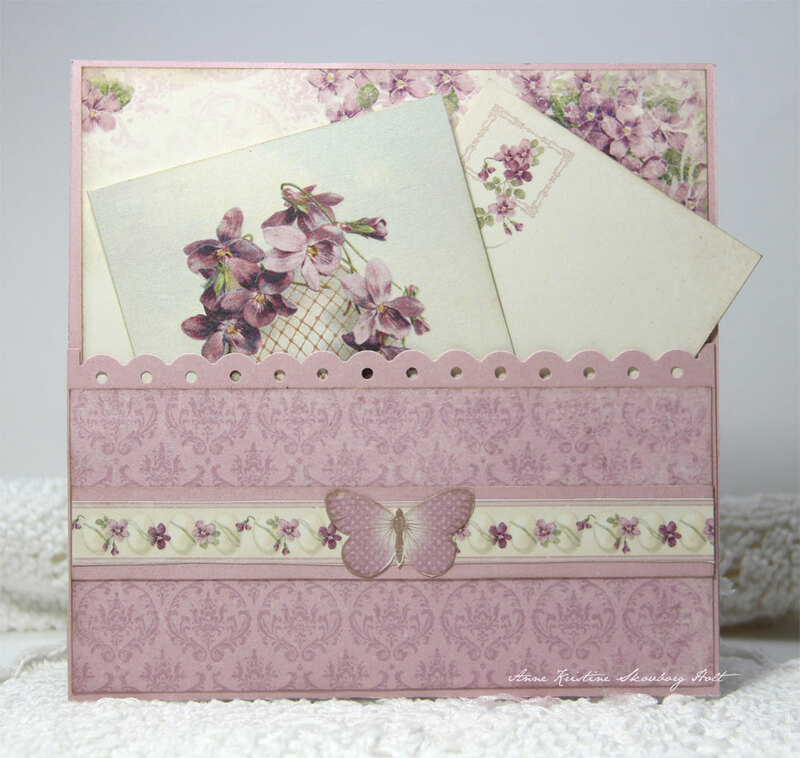 The papers are so versatile with its soft pastel colors and adorable patterns! I haven´t had time to get online for a while, but I´ve just been through all the last many entries and WAUW what a lot of amazing things here, and common for all is, that they´re sooooo sooo gorgeous work and such amazing projects and all of them are soooooooooooooooooooooooo gorgeous and beautiful.